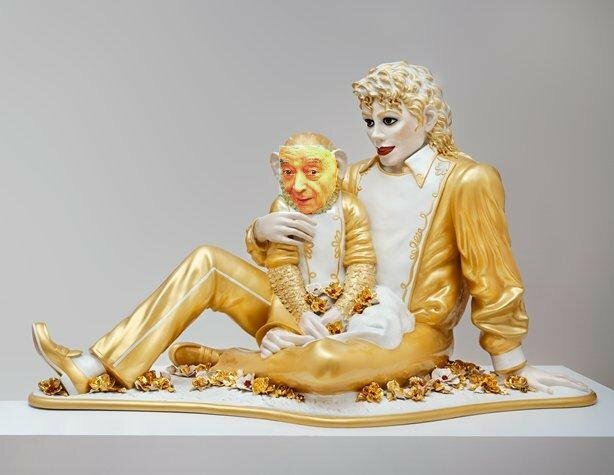 Fulham owner Mohamed Al Fayed has announced that he plans to unveil a statue of his close friend Michael Jackson at Craven Cottage, after missing out on the chance to erect it outside Harrods (as he originally planned) due to the sale of the Knightsbridge store. The Jacko memorial is to be situated alongside the existing statue of Fulham legend Johnny Haynes next to the Riverside and Hammersmith Stands at the Cottage, though no further details have been released – other than that the unveiling ceremony has reportedly been pencilled in for April 3rd, before Fulham’s game with Blackpool. “Michael Jackson was truly a legend, a term used too often in this modern world saturated in the hyperbole surrounding celebrity. “He was my friend, a man with whom I shared many happy memories and who died a tragic and untimely death. He left behind a legacy of music so vast it takes one’s breath away; from a precocious talent to an ingenuity and ground breaking modernity that shall never be repeated. “It shall often be imitated, but it will never be replicated, Michael Jackson was, and shall always remain, one of a kind. How utterly ridiculous, and how presumptuous of Al Fayed to think that the Fulham fans would want to share in such a vain folly. Don’t get me wrong, I enjoy expensive public tributes to deceased multi-millionaire wackjobs as much as the next man, but there is a lengthy list of vastly more worthy Fulham alumni (George Best, Sir Bobby, even Roy Hodgson) that should be comfortably in front of Jackson in the queue for a statue at Craven Cottage. Will the statue be made of marzipan for authenticity? Will his nose be removable? Gotta love foreign owners, they have such a connection to the history of their clubs. if mr.al fayed want to plonk George Best, Sir Bobby, even Roy Hodgson he will do it, but he don’t want to,at this time maybe. why can’t you just wait and respect what mr.al fayed want to do?duh! envious unknown wacko writer! The haynes statue is outside the johnny haynes stand, George best and bobby Moore are not fulham legends but I accept your disgust. In my eyes al fayed would have had a statue and a stand after he left us/this mortal coil but perhaps not now. Sad really…. oh and deeply embarrassing. look what you did to that photo statue? who do you think is wackojacko? dude, did you go to school and learned GMRC?or became a writer just tripping the good art? it seems not.tsk,tsk,tsk. this is really what happen when envy hits you.. look yourself to mirror first before mocking and dissing others..what you did to this photo reflect of who you are. btw,on the video, the audience seems nice to mr.jackson and mr.al fayed.. what partially melted head are you talking about? as a writer be accurate,respectful and unbiased,and be responsible enough to what are you writing. dude, envy ain’t help you succeed. these comments are out of control! i love it. boo, wee and lois are clearly high as kites! What does envy have to do with this? Clearly, it makes no sense to have a Michael Jackson statue in front of Craven Cottage, and Chris is just pointing that out. Lois is a psycho. Haha, Lois, boo and wee must be the same person.